Today’s show is packed with the most up to date information from some of the experts who know best. 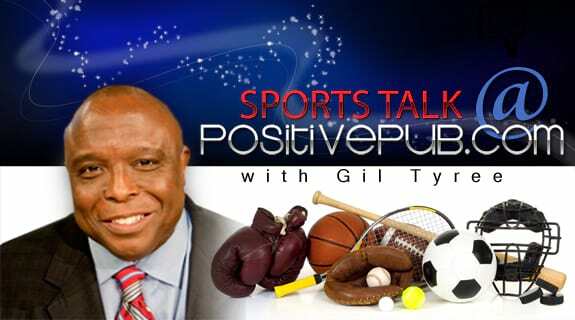 Online Sports Guy, Phil Cantor and host, Gil Tyree, discuss the NBA playoffs and top 3 topics in sports headlines from this past weekend. The second segment of the show Gil offers a quick plug for the up and coming news and events happening at the PositivePub. During the third and final segment of today’s broadcast, NFL Network Analyst Charles Davis joins the show to give a preview of the 2011 NFL Draft picks as well as his analysis on the latest news in the football world. Since 1988, Phil Cantor has covered stories while working in 5 different television markets in the U.S.. Phil has won awards in Producing and Photography with the Associated Press, Georgia Association of Broadcasters, Society of Professional Journalists, The National Press Photographers Association and has received Emmy nominations. Phil Cantor is the creator of the Sunday Sports Show at WGCL-TV Atlanta, airing since 2005.